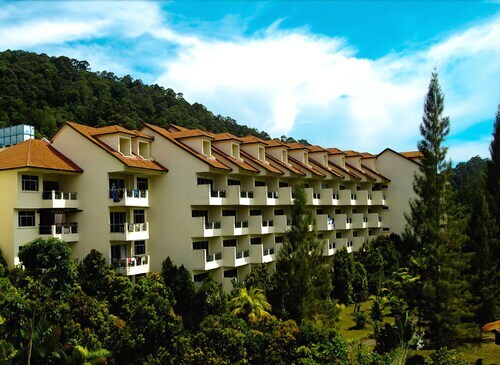 Offering direct access to the beach, this Lumut hotel is 0.1 mi (0.2 km) from Teluk Batik Beach and within 6 mi (10 km) of Mangrove Swamp Park and RAHMAT Maritime Museum. Guests at this beach hotel will appreciate convenient onsite amenities such as barbecue grills and a picnic area. All 40 rooms provide conveniences like refrigerators and coffee makers, plus balconies and TVs with satellite channels. Guests will also find ceiling fans and free toiletries. The hotel offers a restaurant. Wireless Internet access is complimentary. This beach hotel also offers barbecue grills, multilingual staff, and a garden. Onsite self parking is complimentary. Teluk Batik Resort has a restaurant on site.